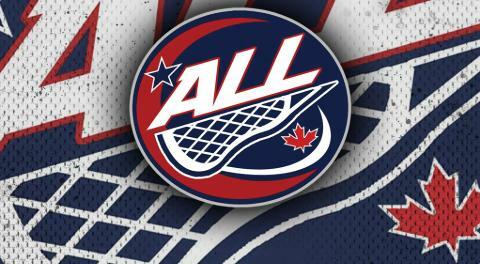 This week we turn our attention to the two Head Coaches of the top two teams in the Arena Lacrosse League, Ron 'Mouser' Henry of the St. Catharines ShockWave and Joe Sullivan of the Peterborough Timbermen. The ShockWave currently sit in 1st place in the ALL with a perfect 11 and 0 record, the Timbermen are right behind in 2nd with an 8 and 4 record, with two of those losses coming at the hands of the undefeated ShockWave. 1. What is your first thought that comes to mind when you see the picture? Henry: There are so many thoughts going through my mind right now, so I’m going to give you a few. 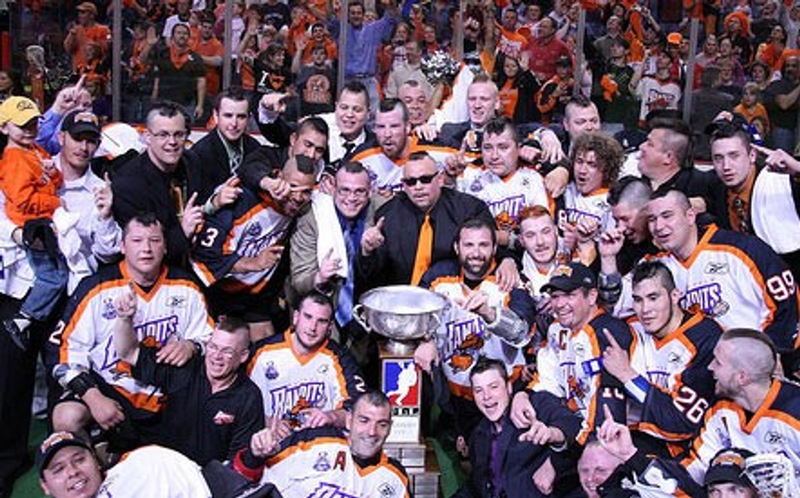 The first thing that comes to mind of this 2008 Buffalo Bandits Championship Team, is to see all the Native/First Nations players and staff in this picture, and how proud I am to be a part of this amazing team. I remember going into the stands after the game to give my ma a big hug and thank her. As I stare at this picture, there are so many stories & memories to every face. Another thought goes to our fans, (US, Canadian, Native/First Nations) selling out HSBC so many times to watch, cheer and enjoy their Bandits team. As I look @ this picture again, I think of Darris Kilgour, who had the faith, believed in me, and gave me the opportunity to be part of his coaching staff. I’ll stop with this last memory from this picture: JT was the man!! 2. Fantastic memories Ron, obviously a great moment in your coaching career, we have to ask, how did you end up in the center of the celebratory championship picture? Henry: We were all enjoying the pandemonium of winning, waiting and wondering where the trophy was for the picture, low and behold, when everyone sat, kneeled, or laid down, it just happened to be in front of Darris and myself. 3. As you mentioned, so many things stand out in this photo, your aforementioned recognition of the number of Native/First Nations players and staff being a main one, the Mohawk haircuts being another, but one that sticks out for me is you wearing your signature black glasses; are they actually sunglasses or are they prescription eyewear? When did you start wearing the dark glasses, do players find them intimidating? Henry: The dark glasses are prescription. I would wear them all the time out when outside of work. I could never remember to change or I’d forgot them somewhere, so I kept my regular glasses for work, and the dark glasses never came off. As for intimidating, maybe with the Mohawk (laughs). 4. Your current ShockWave team sits in first place, clinching a berth in the Arena Lacrosse League Final Four Weekend April 13-14 at the ILA, although we are talking two different leagues, do you see any comparisons with your ShockWave team with that NLL Champion’s Cup Buffalo Bandits team you are pictured with? Henry: I would have to say a few comparisons would be the Native/First Nations and St Catharines players, as both teams are well represented. Every player bought in and believed in their coaches and systems, and last, I can’t forget great goaltending! 5. Finally, Ron, those Bandits fans knew you as Mouser as do we, care to share how you came across that nickname? Was it player given, another coach, friends, family? Henry: Nothing special here, just a nickname that has been with me forever. A lot of people, players and coaches, really don’t know my real name, (laughs).... Ronald Dean Henry. Thanks Mouser for doing this interview, good luck in the ALL Final Four.